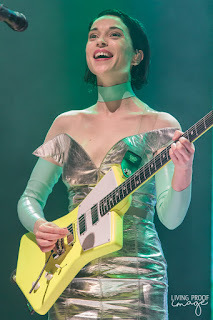 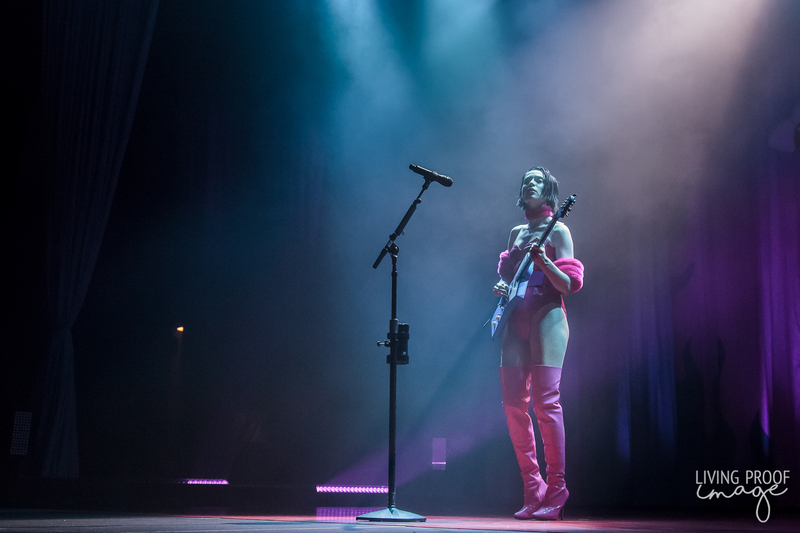 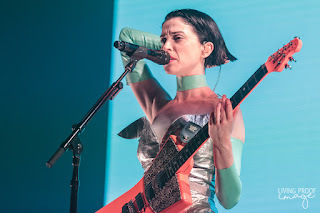 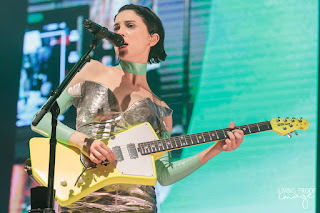 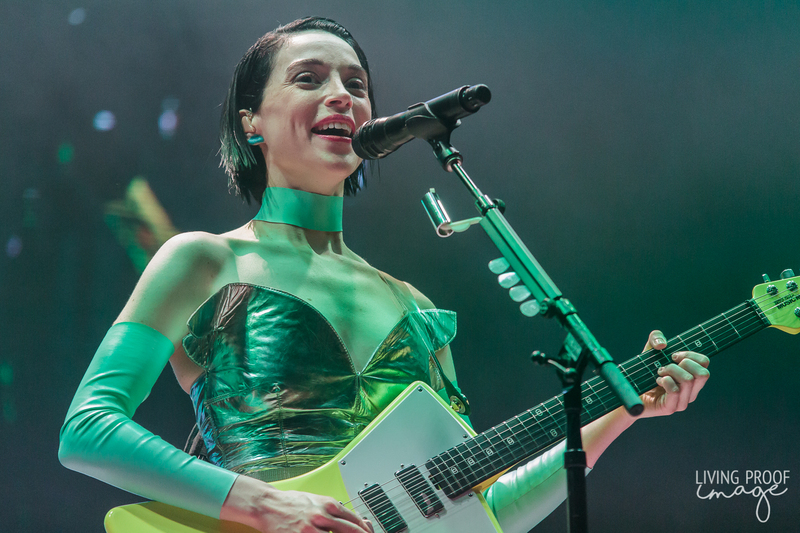 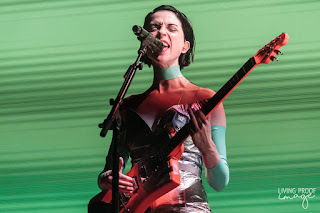 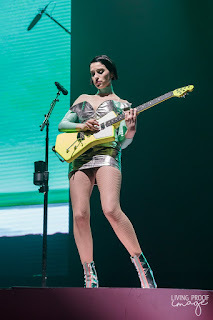 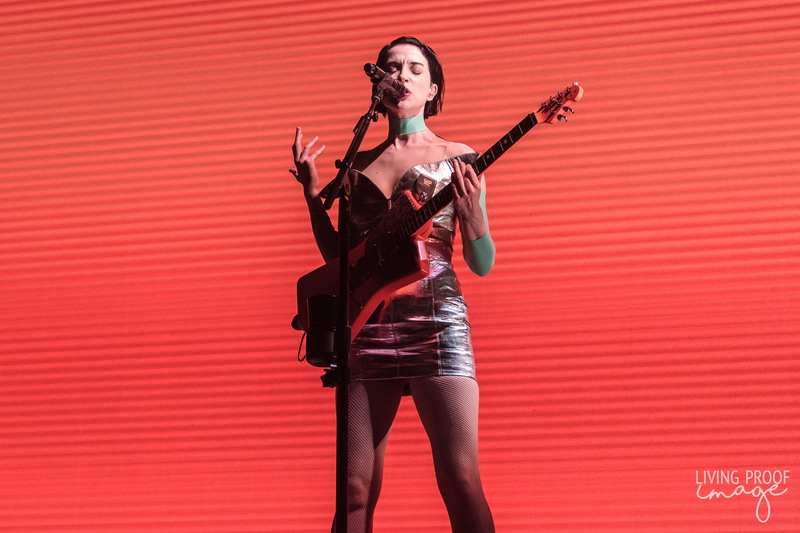 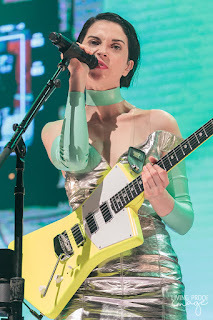 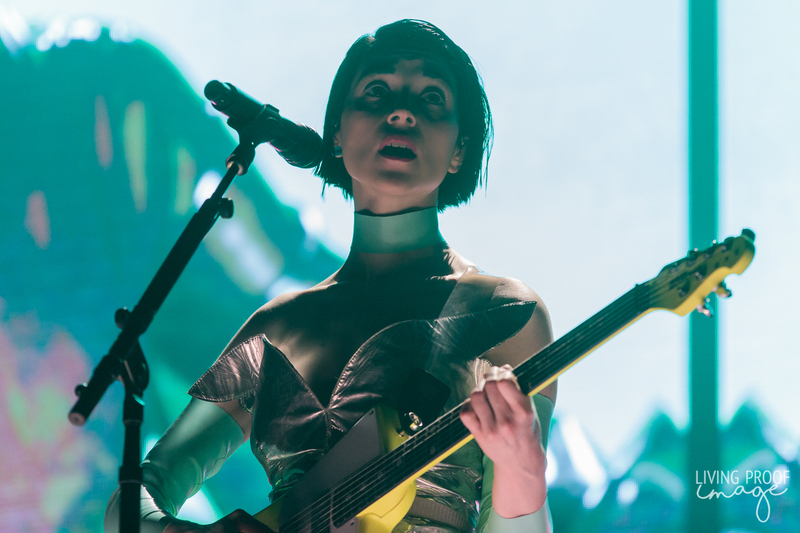 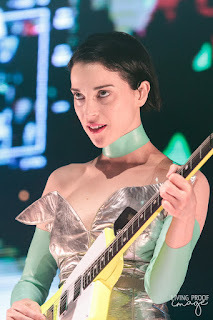 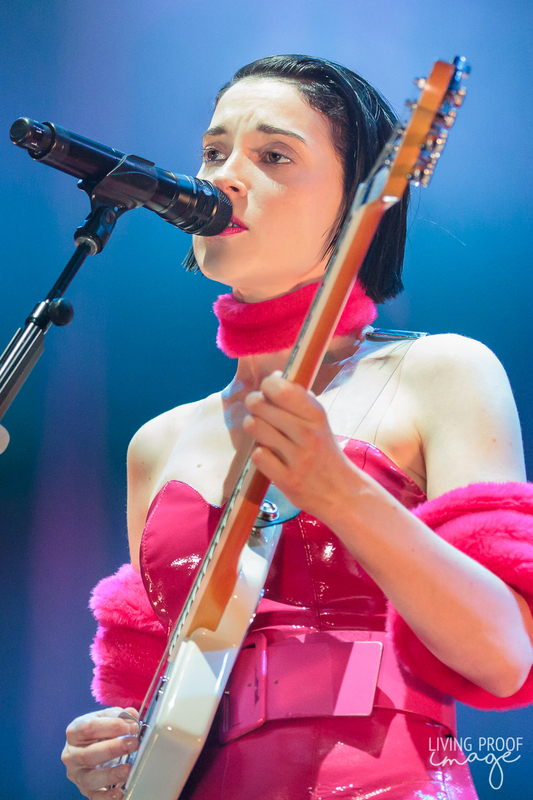 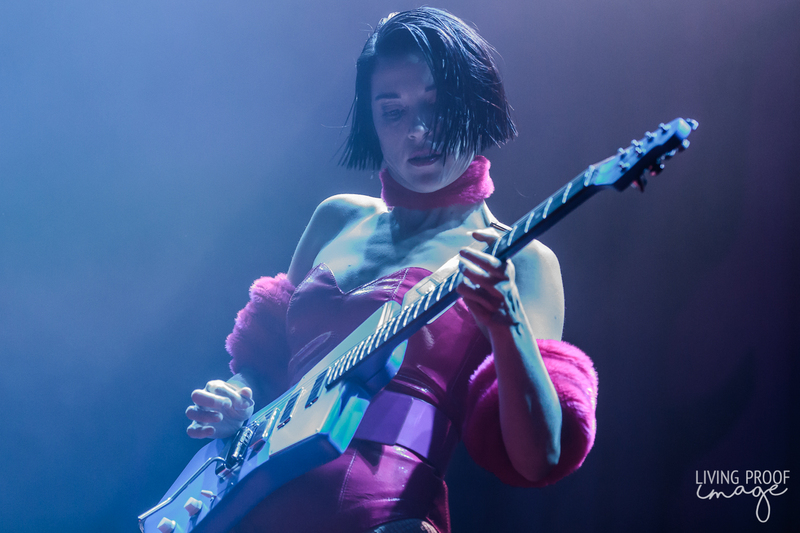 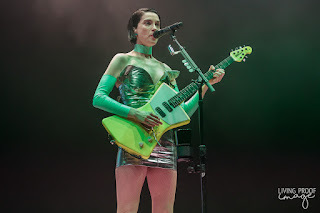 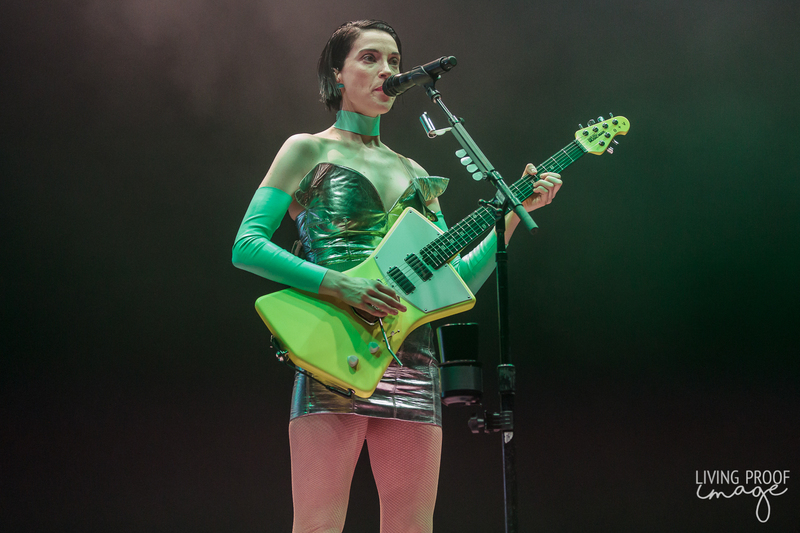 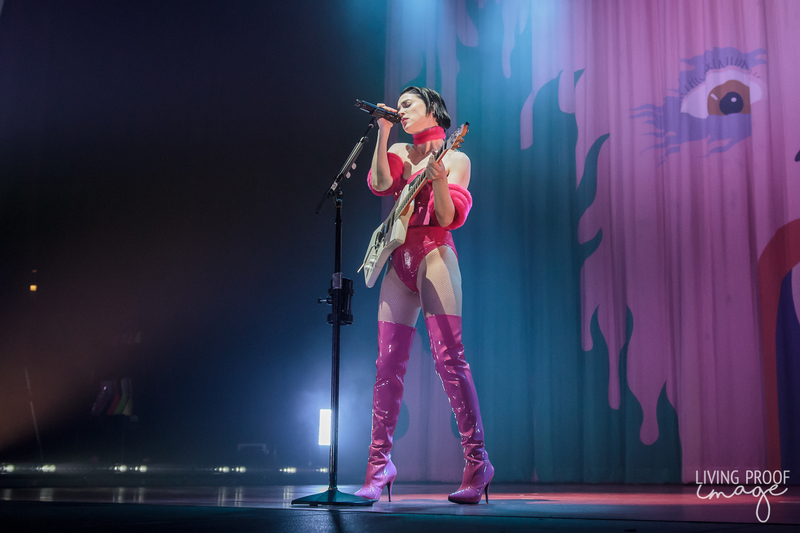 Tulsa-born but Dallas-bred Annie Clark, also known as St. Vincent, brought her one-woman show to the Bomb Factory in Dallas, TX. 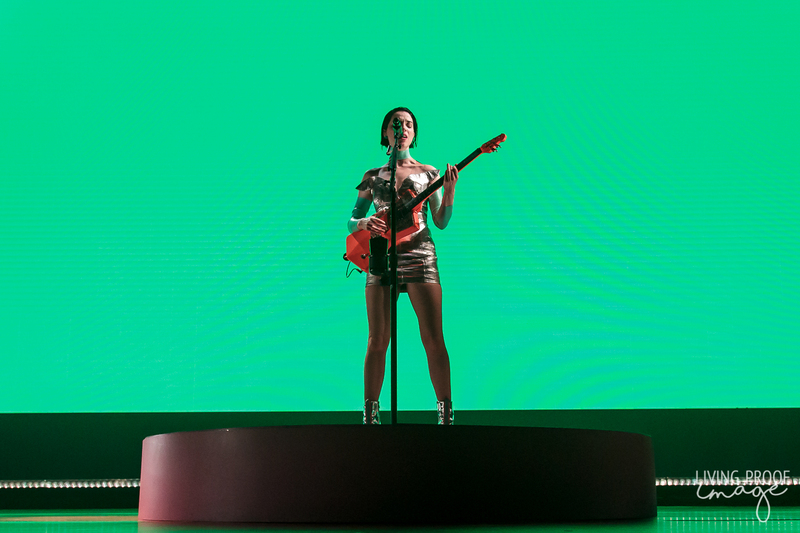 The nearly sold out (but possibly sold out by time of the show's start) hometown show presented Annie to face the masses alone on stage, a departure from her previous shows. 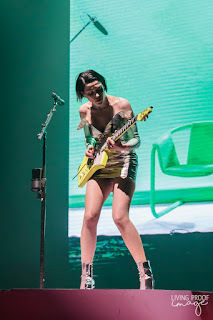 But she was not entirely alone, she did have a plethora of signature Ernie Ball Music Man guitars in tow, which provided the night's live portion of the show, along with Clark's dynamic vocals. 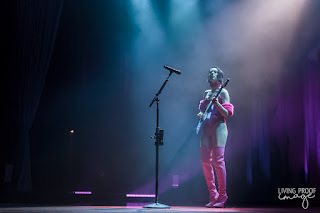 The show was separated into two acts, firstly, where Clark performed in a pink, leather outfit in front of theater curtains, in and out of the spotlight. 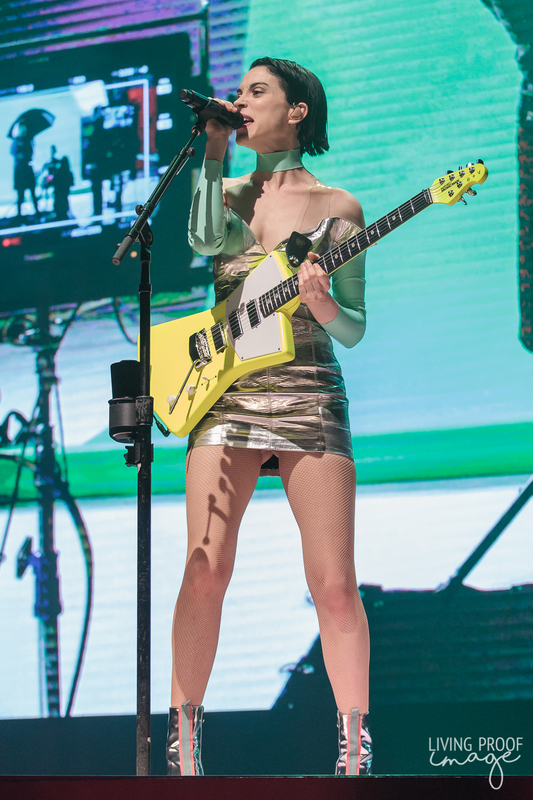 She left shortly to reappear in front of a gigantic, LED display behind her while she sported a short, silver dress. Her set was a mix of new and old, the calm and collected and the raucous and spirited. It was a pretty awesome spectacle.